Only rarely does the importance of logistics procurement burst into the open. It has done so for the fast food chain ‘KFC’ in Britain over the past couple of weeks and it has been horrible. KFC retail sites have either been forced to close or sell a restricted menu due to a shortage of supplies and the company has rid itself of “thousands of tons” of product incorrectly stored. The financial cost is not yet known however the effect on KFC’s business in Britain must be significant. At the heart of the company’s crisis has been the transfer of an outsourcing contract for the running of their national distribution capabilities from the food processing company Bidvest to DHL Supply Chain. Bidvest had been operating six distribution facilities supplying food to the KFC retail sites. It is suggested, not least by the GMB Trade Union, that DHL Supply Chain offered to reduce costs for KFC by concentrating operations on one national supply centre in Rugby in the English Midlands. The proposed concept behind the DHL offer was hardly new, indeed it reflects good practice by concentrating inventory, which ought to both increase stock availability and reduce costs. For some reason this has not happened. There are clear indications of ‘whiplash’ inventory problems. Although KFC stores around the country had been running out of food (especially chicken) both last week and this week, KFC’s food suppliers have been attempting to offload excess stocks. In addition, there have been strange reports of containers of chicken being offloaded at the roadside only to be picked up later by what appear to be KFC employees using their own private vehicles. Now it is reported that the company is faced with having to rid itself of a large quantity of chicken as it has been realised that the Rugby facility is not properly licensed to handle food products. This episode is not just a problem for KFC. 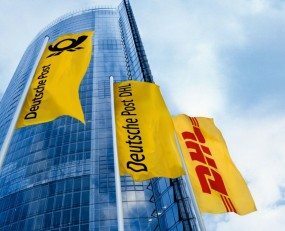 It is hard not to think that DHL Supply Chain emerges badly, although it is hard to know the precise details of the events that have led to the problems. However, handovers from one contract logistics provider to another must be a core competence for a large provider such as DHL and here, for whatever reason, they have got it badly wrong. This cannot be anything other than damaging to DHL Supply Chain’s business in the UK and elsewhere.